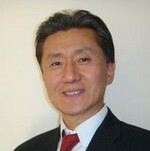 Jimmy Rhee , Assistant Secretary of Commerce and Trade for the Commonwealth of Virginia, presides over International Trade and Investment activities. Given the ever-broadening and strategically important Virginia relationship with global economy, Jimmy is a part of the team under the leadership of Governor Robert McDonnell that defines and implements a new vision for Virginia economic engagement with Asian countries. Jimmy has over 20 years of entrepreneurial experience in enterprise creation, growth and change management with an extensive record of directing turn-around situations ranging from manufacturing to software companies. He served as CEO of Global Technology Systems Consortium, a government consulting firm; and Cleverlearn, an Internet software technology firm which personalized the online language learning experience, a joint venture project with Bigfoot Venture Funds. Over the years, Jimmy has consulted and mentored various small businesses in helping them to secure capital infusions and illuminate competitive edge. As lead consultant, Jimmy also provided guidance to Asian solar energy companies concerning the topography of the U.S. energy industry, namely, aligning technology, capital, and policy for meeting renewable energy mandates. Jimmy received B.S. in Management, MS/MBA and briefly studied law. He attended University of Maryland and Johns Hopkins University, respectively. Jimmy also received a Professional Certificate in Sustainable Energy from Stanford University. Jimmy is active in the community and has served as a board member for various organizations.